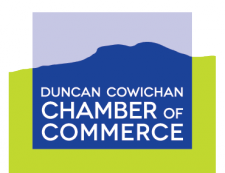 This Downtown Duncan Dine Crawl will feature a 3-course meal spread over 3 fantastic restaurants. We'll begin with a choice of appetizers at the Craig Street Brew Pub, then stroll over to The Ainslie for our main course experience and finally, we'll cap-off the evening with dessert at the Old Firehouse Wine Bar. Tickets are $45 per person, including GST. Beverages and gratuities are additional and pay-as-you-go. Advance registration is required and you will be asked to preselect your appetizer, main course and dessert options at the time of registration. There are only 20 spaces available and tickets are non-refundable.